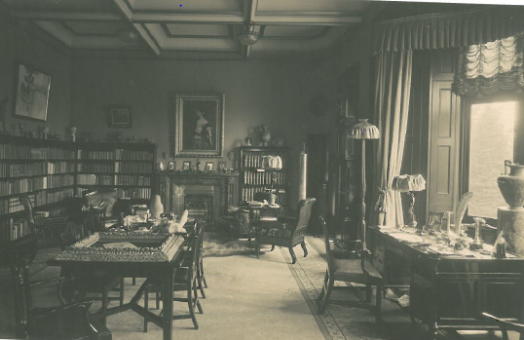 This room was formerly the Library, in the days of Adelina Patti - see picture below taken 100 years ago. 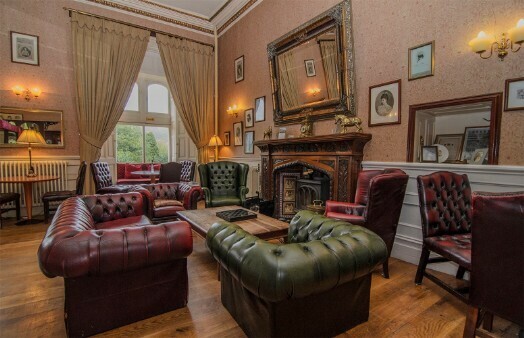 It had fallen into disrepair as a little used bar area under previous owners and we found the floors and ceiling were all rotten so it had a major overhaul and rebuild - see the restoration of the Nicolini Lounge here. 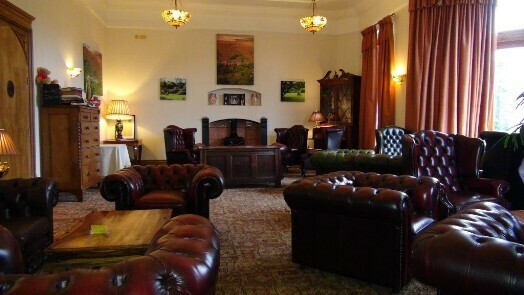 The Nicolini Lounge at Craig y Nos Castle is dog friendly with ample seating on leather chesterfield sofas. 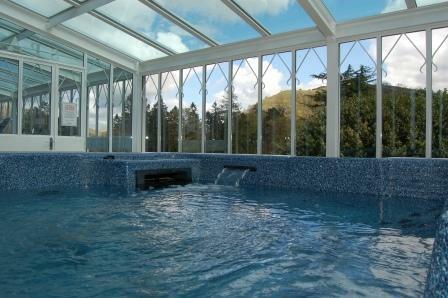 There are extensive views over Brecon Beacons Country Park from the bay window. 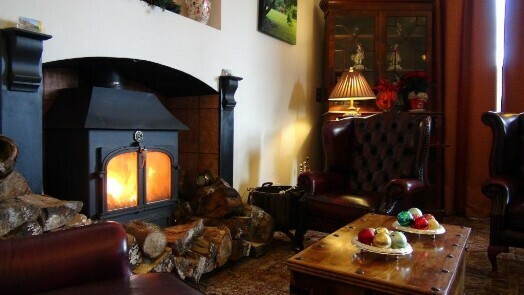 A large log burner provides homely warmth in the winter months - if these seats are taken there are three other log burning stoves to sit beside. The Patti Bar (shown left) is used as an evening restaurant for guests with dogs, while the main dining room is used for guests without dogs. There is a wide choice of comfy dog beds behind reception and by the coffee machine to save dogs lying on the wooden floor in this room. 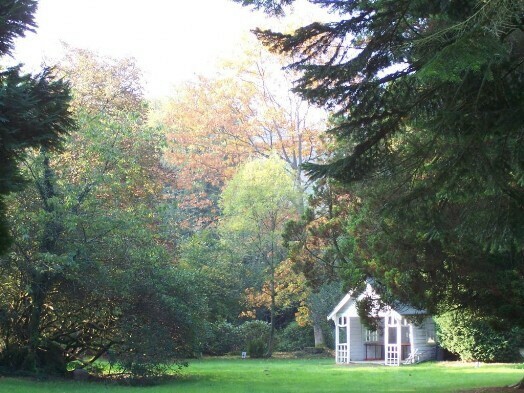 Ample walks in the lower gardens and adjoining 40 acre Country Park with three lakes, woodland and an open meadow. 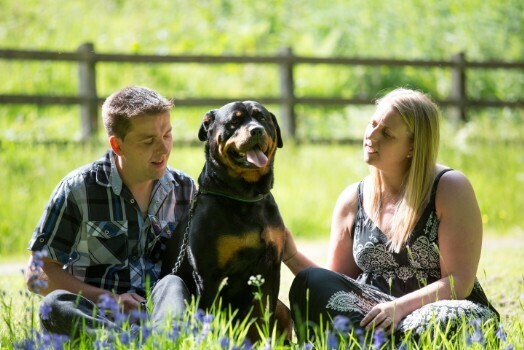 Use the menu bar to see our Dog Friendly Garden Walks and for Jack's Walks and for loads of close-by dog walks. Unwind in our Sports Room during your stay, and enjoy the views over the Scenic Brecon Beacons National Park. 20/12/2018: Hot tub now repaired and fully operational after about 18 months delay sourcing a new motherboard. 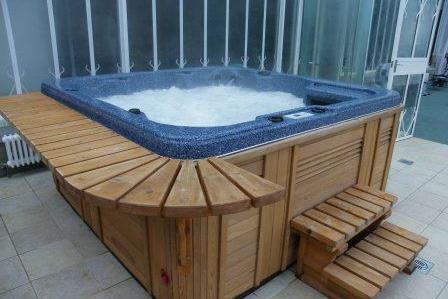 Ideal for rainy days or long winter evenings! 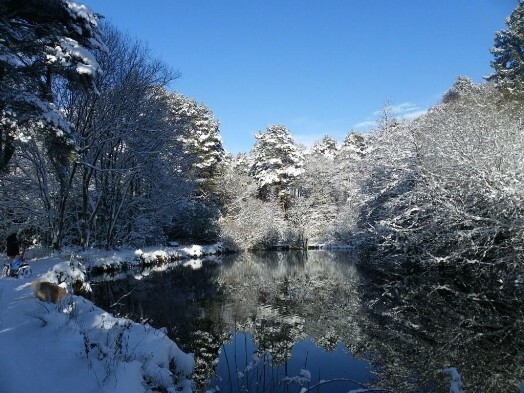 The Country Park is beautiful in all weathers and seasons and is right at the bottom of our garden. There is no need to use your car during a short break, as there are plenty of walks straight from our doorstep. 1. Brecon Beacons Mountain Centre (quick to drive to if you know the shortcut turning right at Defynog and then taking the first single track road on left a couple of miles along - it is unmarked but brings you to the Mountain Centre walks. Or carry on to Libanus and follow the signs (first left once at Libanus). 25 minutes maybe, using short-cut, otherwise 35 minutes. 2. Lady of the Lake Walk - follow directions on the link. Maybe 7 minutes or so drive from castle. Lake of Arthurian legend (King Arthur and sword of Excalibur story) is 30 minutes walk up the mountainside. Lake is easy to miss though. Follow directions on the link. Circular walk around lake takes another 40 minutes or so. 3. Henrhyd Water Falls - left out of castle, then left at Penycae Inn, about six minutes drive from the castle. A lot of guests do this walk. Has small (free) car park beside it. Steep path down to Falls - you can walk behind the waterfall. 4. Penwyllt Walk - left out of castle and first left up the hill. A bit bleak but nice and remote once up in the hills. Also can be reached from behind the country park if you fancy a bit of a climb. Nature reserve, caving club, Patti's private railway station, lots of history but needs more storyboards to explain what Pennwyllt once was. 5. Mountain Walk - opposite the castle - just cross the road turn left then first right just south of the coach house. However it is very difficult to find the World War 2 planewreck. You can get lost up here. Aim to come down behind the Welsh Show caves, cross the road and then back through a gate into the Country Park. 6. Usk Reservoir - one of the best circular walks locally, half an hours drive over mountain lanes and country lanes to get to it, well worth doing on a good weather day, enjoy the spectacular views.